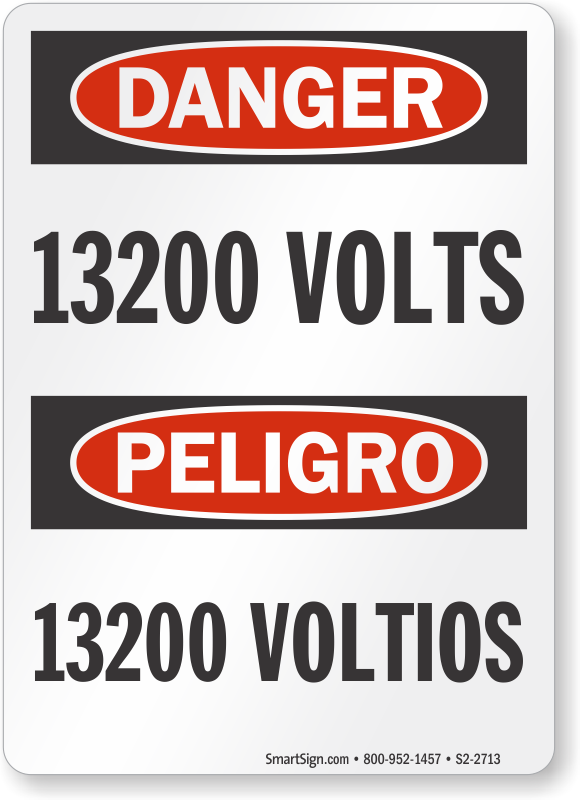 Our High Voltage Signs- 13200 Volts will alert workers to electrical hazards and prevent accidents. We also offer self-adhesive voltage markers that you can use to quickly identify bus ways, fuse boxes, conduits, outlets, electrical devices, and power lines. Use voltage markers to ensure that your electrical devices are not damaged. • Markers are made of pressure sensitive, adhesive vinyl. 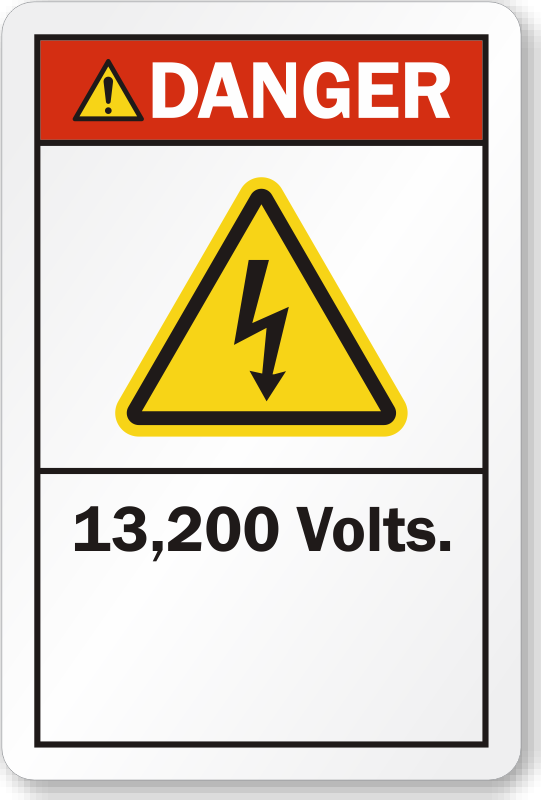 • Voltage marker labels are available in small, medium, and large size. 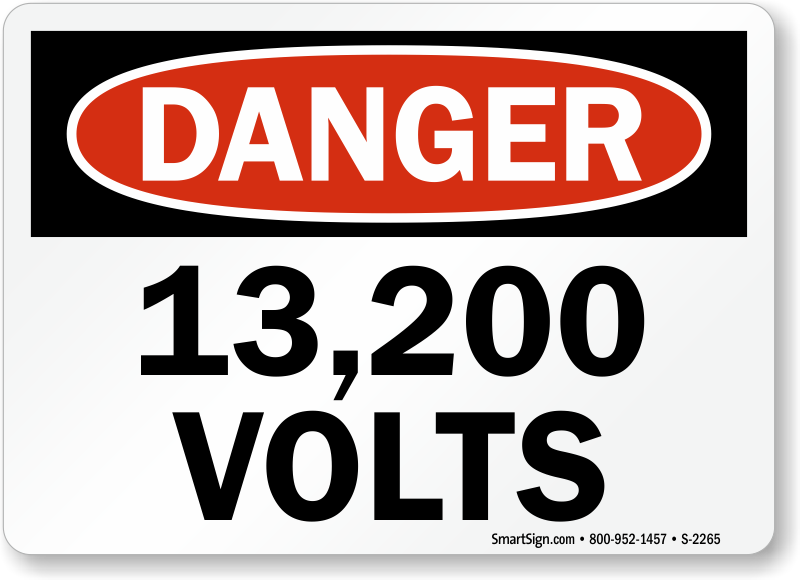 • High voltage signs are available in aluminum and laminated vinyl. 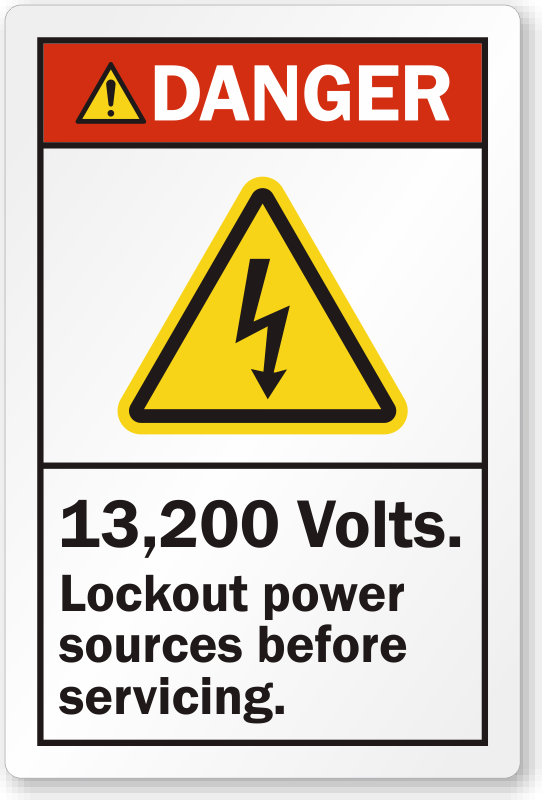 Install signs at locations with electrical hazards or big equipment. • Great prices offered on bulk purchase!